TVS Motor Company announced that TVS Victor has clocked sales of 1 lakh units within 9 months of its launch in the country. The solid success of the motorcycle has pushed the company’s market share close to 8% in overall motorcycle segment in India. TVS Motor expects to attain 10-12% market share in the domestic motorcycle market in the next 2 years with TVS Victor expected to the major growth driver. We are delighted to have 1 lakh families join us on this journey to spread smiles. It is our endeavor to add more members to the growing family of TVS Victor and we are confident that we will build on the growth momentum. TVS Victor is positioned as the ultimate family bike is an ideal combination of modern styling, superior engine performance and class leading comfort. TVS Victor houses an advanced and refined 3-valve Eco thrust engine, which is tuned to deliver the optimum combination of power and fuel economy. An electric start fires up the 4 speed powertrain to churn out 9.6 PS of power@ 8000 rpm with a torque of 9.4 Nm @6000 rpm. Designed to suit customers looking for great pick and drivability and comfort, the new TVS Victor delivers an excellent mileage of 76 km/l under standard TVS test conditions. It carries an 8 liter fuel tank (including 2 liter reserve). 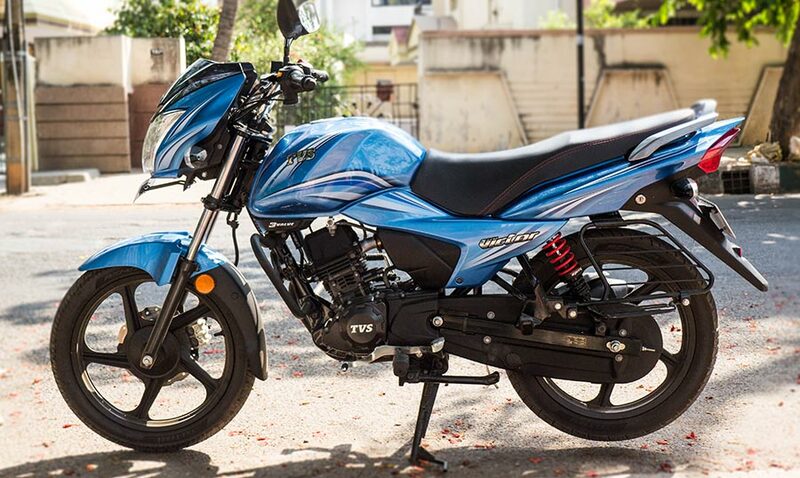 The motorcycle has a wheelbase of 1260 mm with a ground clearance of 175 mm. TVS Victor comes in both disc and drum brake versions. 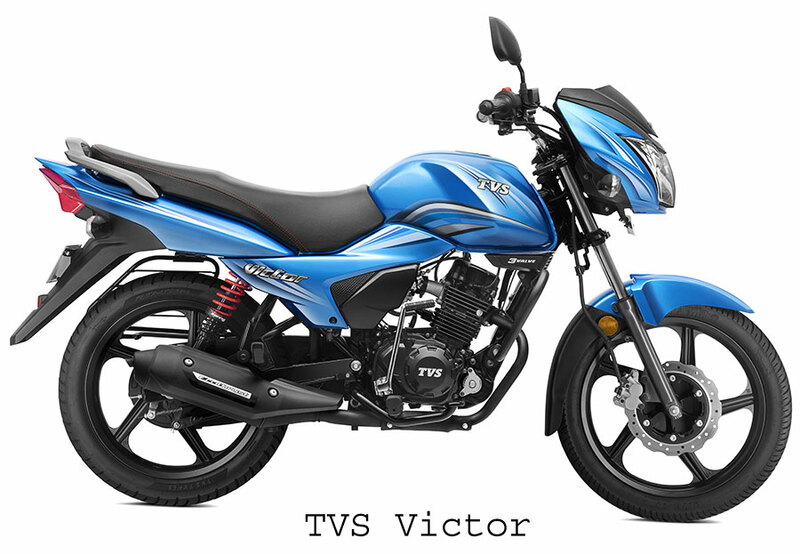 TVS Victor is available in six impressive colors with attractive contrasting graphics including Red, Black Red, Black Silver, Grey, and Silver & Blue (Check all TVS Victor colors) . TVS Victor is priced at Rs. 50,715 for the drum brake variant and Rs. 52,715 for the disc brake variant.